Brett Farrell,our new hypnotherapist, is an expert in helping people stop smoking and overcome addictions. Call us now to organise a initial chat with Brett. The introductory offer on his Stop Smoking Program gives you a $45 discount during June and July. Brett has had exceptional success with helping smokers quit and we are very pleased to have him on board. This week I want to introduce Amelia Batchelor. Amelia is a Naturopath who has a wide range of interests and skills.This week she is focussing on period pain. It’s interesting to know that in Aboriginal culture a remedy for period pain is to eat the mud from termite mounds. When this custom was investigated by western science it was discovered that termite mounds have very high levels of magnesium. Amelia and I were talking about this today and she told me that chocolate also contains high levels of magnesium. Hence those PMT cravings make perfect sense. Of course taking a magnesium supplement or choosing healthy foods that are rich in magnesium is probably a better choice than chocolate or termite mud. Magnesium is essential to switch off nerve signals and relax muscles. Signs of magnesium deficiency are muscle cramps (including period pain) and nervous tics. I might have told you before about a client who was about to have botox for a facial tic when her Naturopath put her onto magnesium and the tic disappeared within a day. According to Amelia, period pain can be caused by a range of factors and exploring the cause is really important. If you (or your teenage daughter) have painful periods then Amelia will test hormone levels and do a thorough assessment to determine how to get things running comfortably and smoothly. Periods don’t need to be painful. When hormones are in balance and the body has the nutrition it needs then period pain can be a thing of the past. Make an appoinment this week and receive a 20% discount.off an initial consultation with Amelia. “Acupuncture for pain relief makes sense. Our energy channels or meridians lie within our connective tissue. With issues such as physical pain, either chronic or acute, these meridians are blocked. Qi or life force that pushes and drives our blood circulation is hindered and we experience aching or pain. This can be from a number of causes but essentially we have a stagnation/blockage or a slowing down of both Qi and blood. Stress causes muscles to tighten and so hinders blood flow and qi flow causing increased pressure on nerves. Acupuncture can provide a drug free treatment option to help reduce the severity and frequency of nerve and muscle pain and musculo-skeletal issues in our joints, muscles and soft tissue. With migraines for instance we address issues to do with stomach and liver meridians. A percentage of migraines and headaches in general are related to a woman’s monthly cycle, whereby she has an excess of Yang (heat) which rises to the head in a full pounding pain. A dull lingering headache may accompany the menstrual time which is usually more due to a deficiency of qi or blood and is associated with fatigue. 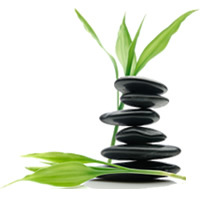 Acupuncture protocols here act to reduce or tonify the condition bringing about balance and relief of symptoms while also addressing the underlying root issue. For strong pain as in back, shoulder or repetitive strain injury of elbows or forearms for example, I use electrodes to stimulate points attaching onto needles, thereby increasing the efficacy of the needling treatment. This is very successful at unblocking stuck qi and/or blood increasing circulation, reducing pain and getting full range of movement to return. Management of pain issues with Chinese medicine and acupuncture may consist of sessions once to twice weekly for a couple of weeks reducing to maintenance appointments once improvement progresses. Chinese herbal medicine can be combined with treatment to get faster results.” Anne-Maree and Dr Sarah Arkell are available for Acupuncture appointments at Simply Natural Therapies. Call us for an initial appointment. One of the most common causes of pain is inflammation. If you watched our Wellness Webcast last week you will know that there is not one disease known to man that doesn’t start with inflammation at a cellular level. To put it simply, inflammation occurs when the free radicals in the body outnumber the anti-oxidants. To learn about the world’s most powerful anti-oxidant, detoxifier and anti-inflammatory, take a look at this webcast on the science behind my favourite supplement. Please CLICK HERE to access the link for this Webcast recording.